If you live near Lancaster, Pennsylvania, there’s never been a better time to shop at That Fish Place, That Pet Place. 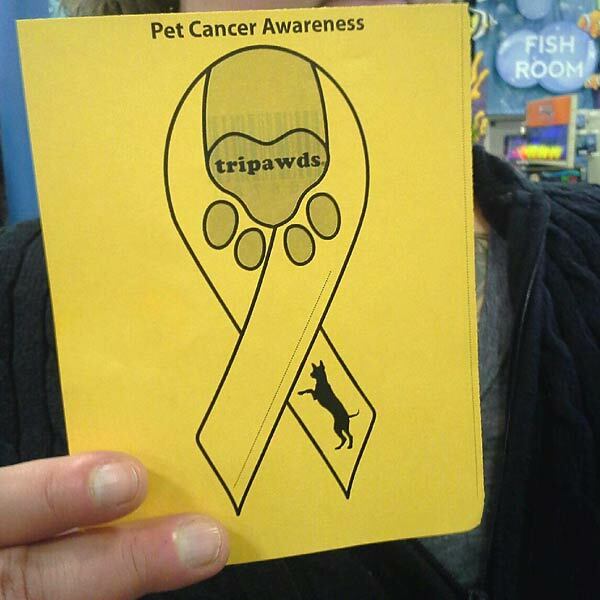 Not only is this indie pet supply store totally pawesome, but all this month your $1 ribbon purchases help That Pet Place support Tripawds Foundation during Pet Cancer Awareness Month! 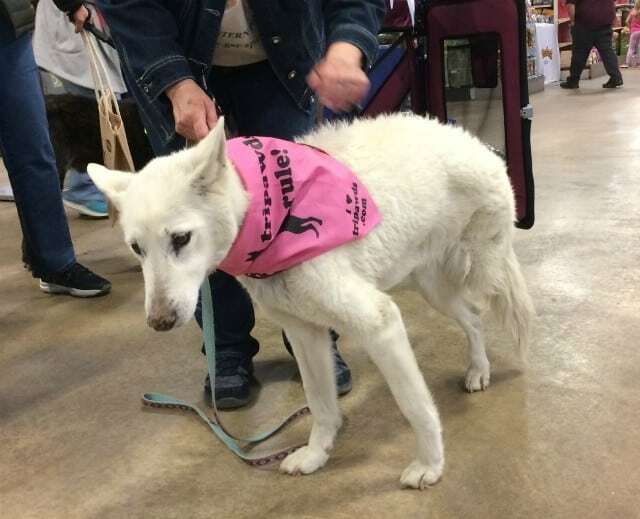 Shop and support Tripawds in Lancaster, Pennsylvania. 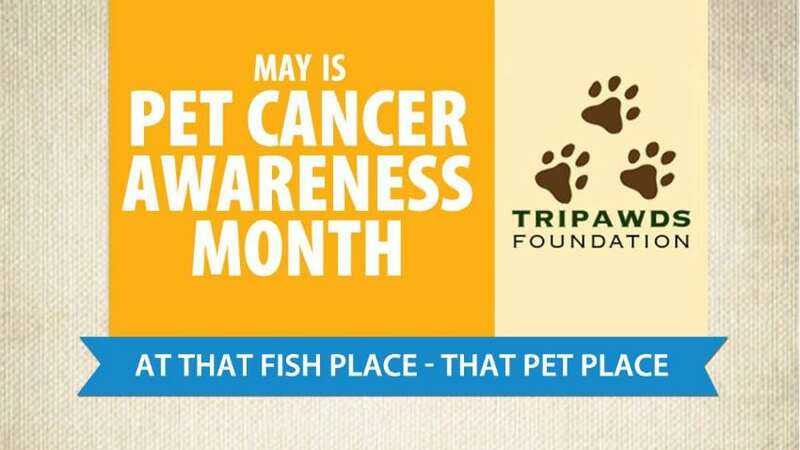 The cool people of That Fish Place, That Pet Place in Lancaster have picked Tripawds Foundation for their Pet Cancer Awareness Month fundraising campaign! From May 1 through 31st all donations received in person at their huge, amazing store will go to the Tripawds Foundation! Visit the store and donate today! 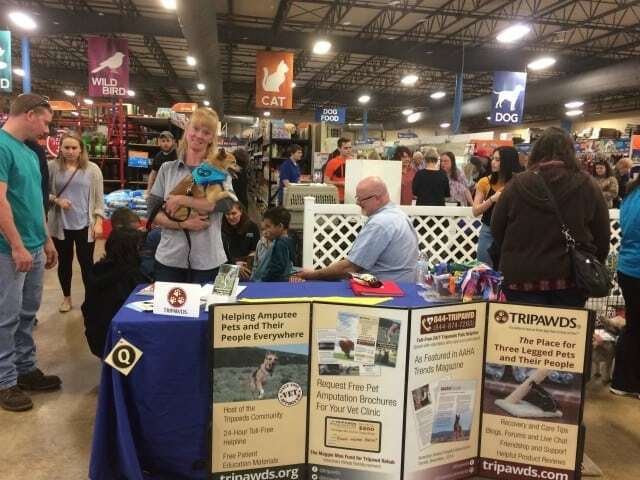 Bud and Kim represent Tripawds at Meet the Rescues event. 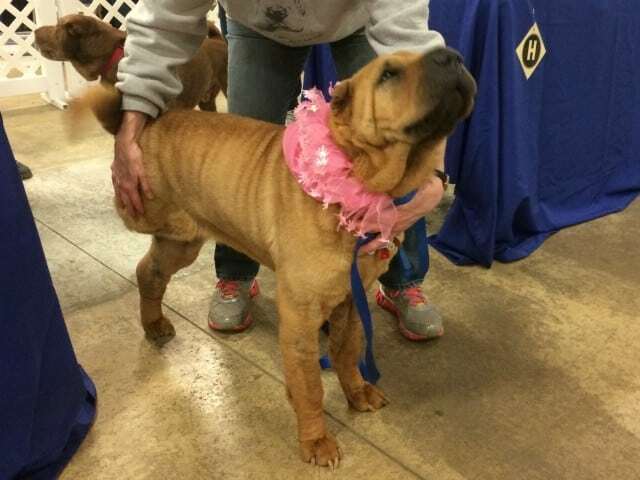 “There were quite a few rescues that brought dogs and several of them found their forever homes. LOTS of people….it was a crazy 4 hours and Bud got smooched by 8,000 kids again and loved every minute of it He also found several other Tripawd friends. Kim and Bud met other Tripawds too. I had many conversations but the one that stands out the most was a lady who’s husband is a vet….she was so excited to take some brochures to the office explaining to me that they have had people make the decision to euthanize rather than amputate because they were scared to have a tripod. Hoping those brochures save a life down the road. 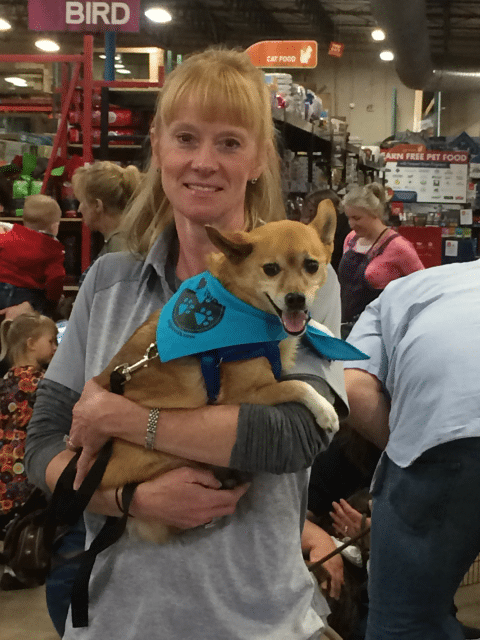 Pretty girldog Tripawd represents at That Pet Place! We are so happy to be part of the That Pet Place Family, and honored to be their Pet Cancer Awareness Month charity this year. Please tell all your friends to visit and make a donation today. Support a Great Local Independent Pet Supply Business! And if you don’t live in Lancaster, you can still show your support of this generous company by shopping online at That Fish Place — That Pet Place. They have a huge selection and unbeatable low prices on quality pet supplies for every animal from fish to cats to dogs to reptiles and more!